This Yom Ha'Shoah (Holocaust Rememberance Day) and on the 100th anniversary of his birth. Following Pope John Paul II’s visit to Cuba in 1998, Fidel Castro Ruz convened a symposium to examine religious life in Cuba. Representatives from different religious communities were invited to attend and share their experiences and perspectives. On Friday night, several members of the UIUC faculty and staff joined students and community members for a Shabbat dinner. We are now halfway through our 21st Century Jewish Writing and the World series. We have been treated to some amazing events with two very thoughtful writers who care deeply about the world we inhabit and the relationship of Jewish people with that world. Ethnography is both a method and a product of anthropological research. 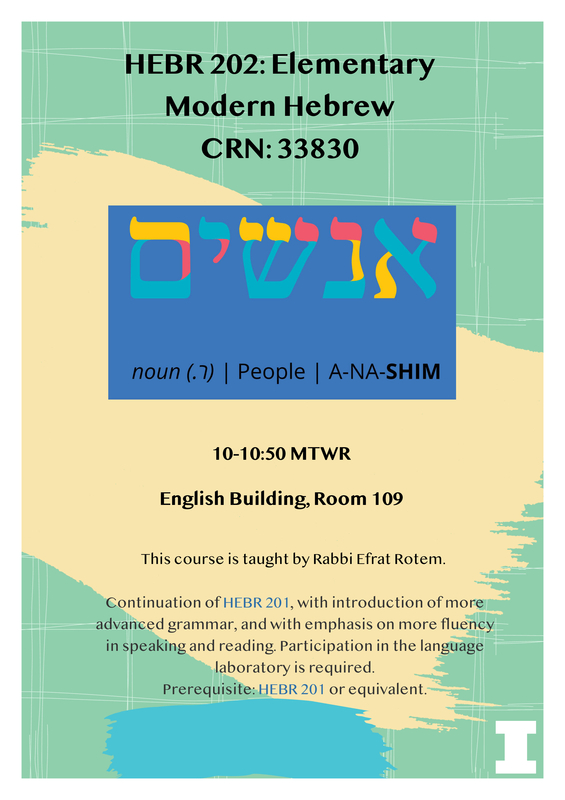 This course invites advanced Hebrew language students and Hebrew (native or heritage) speakers to read and discuss contemporary Israeli literature. Meets in English 109.